The women of Nofoali’i received 20 new sewing machines and sewing accessories funded by Australia's Direct Aid Programme. The sewing machines were handed over to the Nofoali’i E.F.K.S .Women's Committee by Second Secretary and Consul, Melissa Mitchell. She said that the grant will provide an opportunity for the unemployed and young adults of Nofoali’i to take part in training programmes to learn to sew and contribute to the development of their families and communities. The total cost of the donation was SAT$17,800. 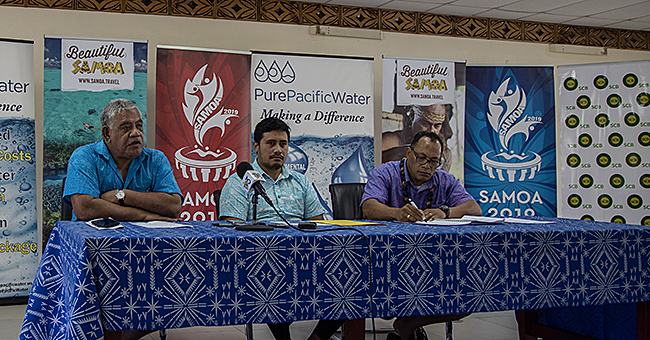 Project Coordinator Luisa Tupou thanked the Australian Government and people for the support. ““On behalf of everyone here, I would like to show our gratitude and appreciation to the government of Australia for this donation,” she said. “It will also be a great way of earning an income to help their children and families. We assure you that we will cherish and make good use of these expensive sewing machines so we can meet and accomplish the purpose of our request.